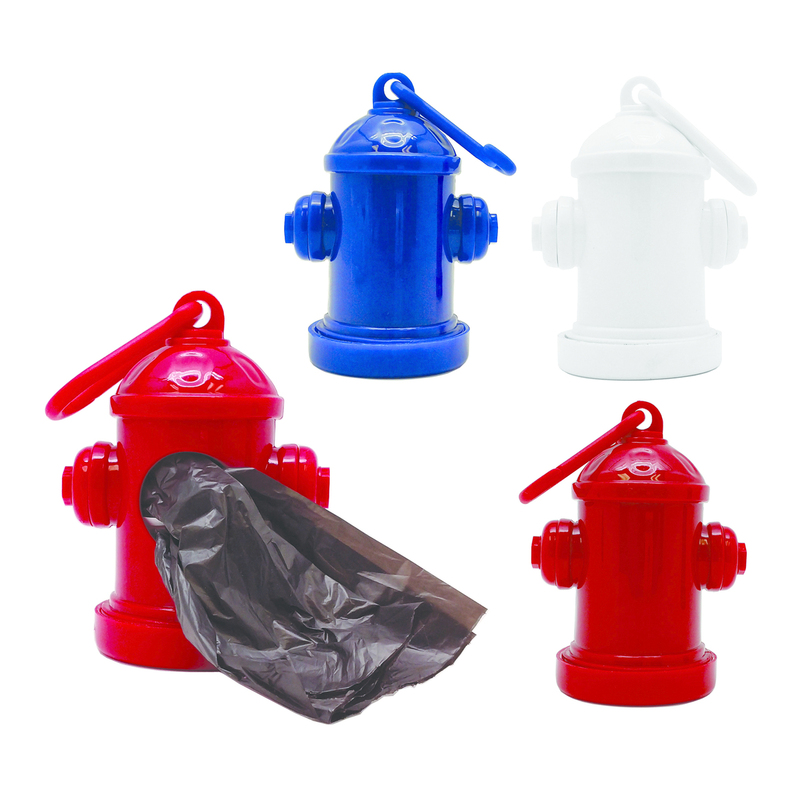 Hydrant shaped bag dispenser. Handy poop bag dispenser clips onto leash and comes with one roll of 15 super eco-friendly bags. Dispenser fits most standard bag rolls on the market. Imprint size: 1"W x 1"H.